You don’t have to be a Florida attorney to know that it’s important to have a Will written when planning your estate, but that’s just the tip of the iceberg. In fact, there are seven kinds of estate planning documents that are vital to just about everyone. Last Will and Testament. If you are 18 or older, you need a Will. Not only does your Will cover topics like how your assets should be distributed and name your beneficiaries, it includes the people you want to serve as guardians to any minor children you have and who you want to be the Personal Representative of your Will. Revocable Living Trust. This type of Trust allows you to appoint trustees who will act for you, contains your after-death wishes, and incorporates disability planning. Talk to your Florida attorney first to see if setting up an RLT is right for you. Health Care Surrogate. Essentially, this document says that you are giving someone else permission to make medical decisions for you if you can’t make them yourself. 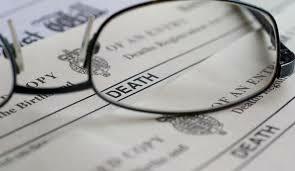 Your health care surrogate must abide by the end of life choices you make in your written Living Will. By putting these decisions in writing, you are alleviating the stress of your health care surrogate in making these tough decisions. HIPAA Release. This document is particularly important in conjunction with a Health Care Surrogate, because even if you have designated someone with the power to make medical decisions for you, medical professionals need the permission that this form provides to release confidential information to them. An experienced Florida attorney will likely explain this process and have you complete both documents together. Durable Power of Attorney. Just like the Health Care Surrogate, this document authorizes someone else to make decisions for you if you can’t make them yourself. But in this case, it’s about managing your day-to-day business needs like paying your bills, handling your real estate, managing your various accounts, and dealing with mail. Living Will. This is an important document if you have a terminal condition and don’t want to be kept alive by machines, or are in an end-stage condition or a persistent vegetative state. In our Living Wills, we go above and beyond by indicating whether you want artificial hydration and nutrition withheld or withdrawn or continued as well. It’s best to talk to family members about this ahead of time, because choosing to end life-sustaining treatment can be quite emotional. You want to ensure that everyone is aware of and understands your reasons. Pre-Need Guardian. By preparing the six documents listed above, you’re giving someone the legal authority to act for you in order to avoid a guardianship. However, sometimes family members and other loved ones do not agree with the decisions of the person you have given the power to act as your agent. In that case, they may choose to seek court authority to make your decisions by filing a guardianship proceeding over you. A Declaration of Pre-Need Guardian allows you to tell the court who you want to serve as your guardian. It can also state who you want to raise your minor children if something happens to you. The issues these documents deal with are incredibly important and shouldn’t be taken lightly. Talk with a Florida attorney and take your time to ensure that you agree with everything before signing.